An instant New York Times bestseller, Booki Vivat's Frazzled is the first installment of a funny middle grade graphic novel series about a girl who is always in a tizzy. Meet Abbie Wu. Abbie is in crisis—and not just because she’s starting middle school or because she’s stuck in a family that doesn’t quite get her or because everyone seems to have a Thing except her. Abbie Wu is always in crisis. From author and professional doodler Booki Vivat, Frazzled dives right into the mind of this hilariously neurotic middle school girl as she tries to figure out who she is and where she belongs. 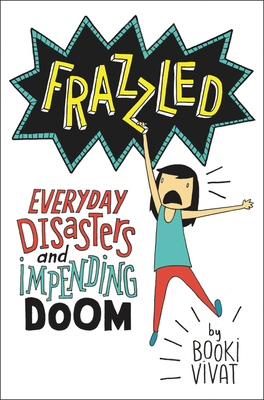 Akin to Smile by Raina Telgemeier, Frazzled is heavily illustrated, embarrassingly honest, and sure to appeal to anyone in the middle of figuring out how to survive the everyday disasters of growing up.